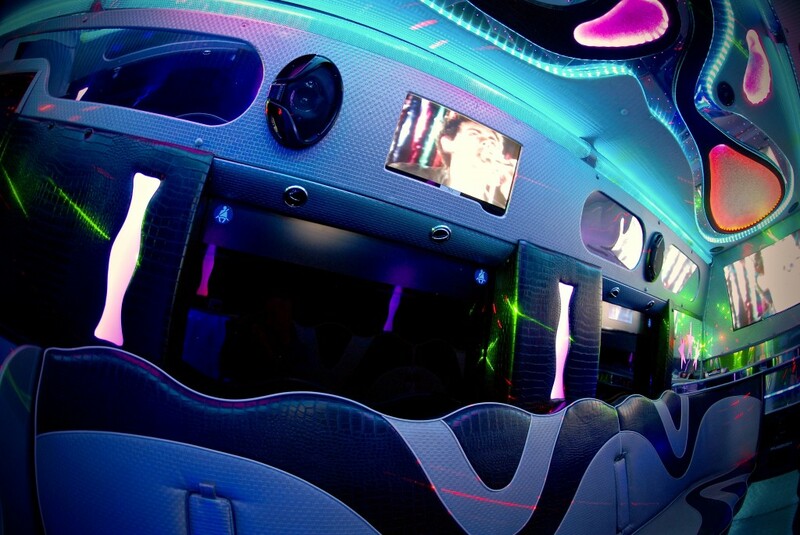 The Swindon Limo Company’s 16 seat Party Limo Bus is a unique way to travel. 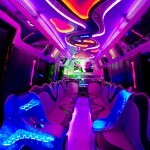 We hire this for Swindon and Wiltshire and surrounding areas. 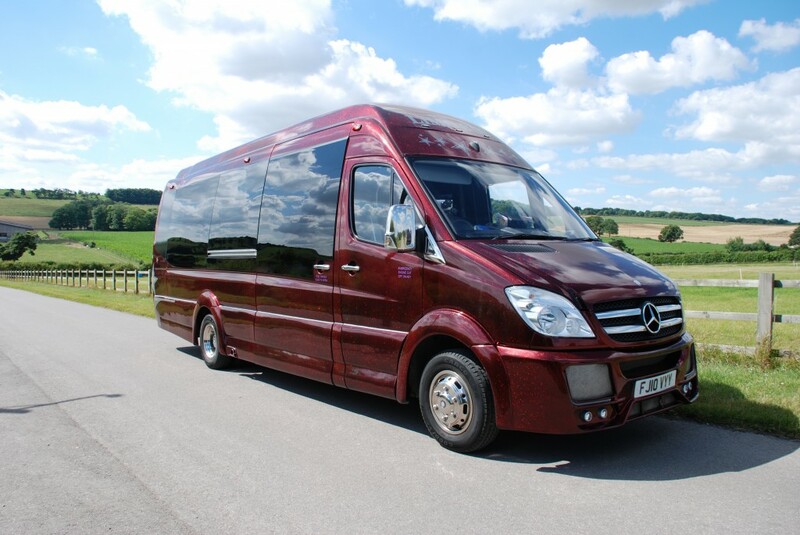 With its metallic Candy Apple Red exterior and large tinted windows this sure to get you noticed. 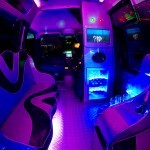 The Party Limo Bus boasts screens throughout, champagne bars, state of the art music systems, amazing lighting displays, seating down both sides of the bus making it a very sociable atmosphere and for the more vocal it boasts a karaoke system with over 2000 songs for you to choose from, making this a great choice for the ladies. 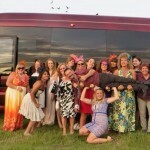 This offers a large boot space so luggage, overnight or weekend bags are not a problem. 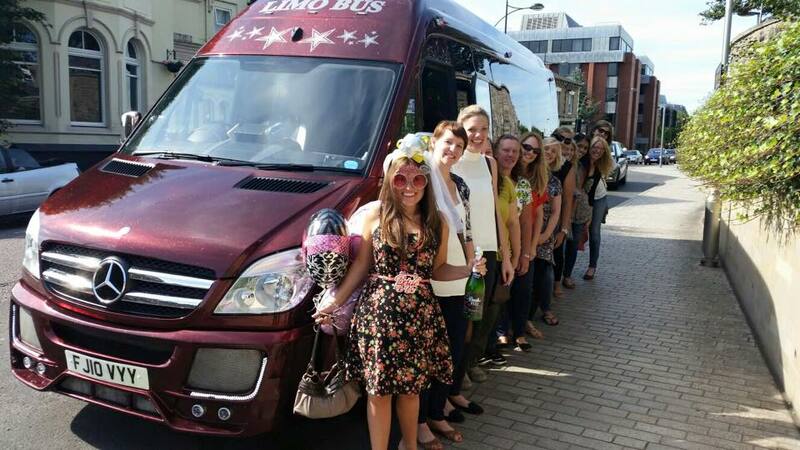 Our 16 seat Party Limo Bus is a popular choice in Swindon for parties wanting to get away for the weekend offering space, comfort, fun, entertainment, chilled bubbly and luggage space what more would your party need. 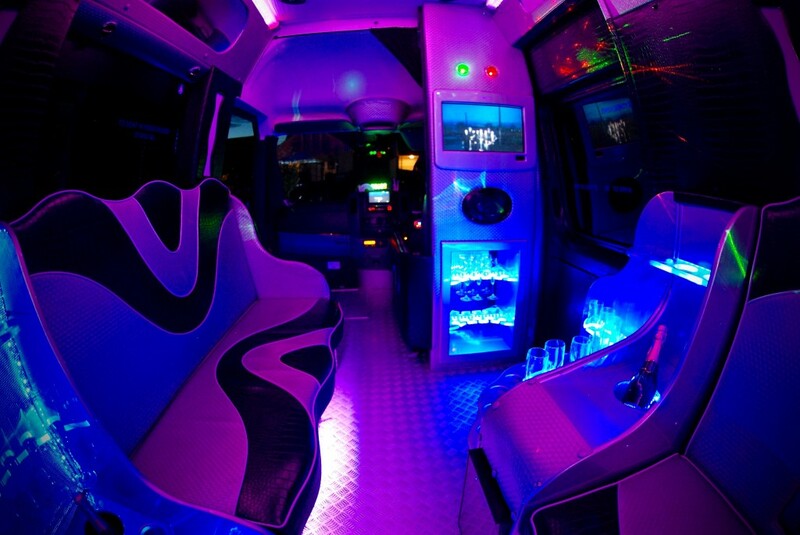 Popular nights out or weekends away are Cardiff, Bristol, Bournemouth, London, Brighton, Minehead, Bognor, Essex, Oxford, Reading, Windsor, Ascot, Cheltenham and much more. 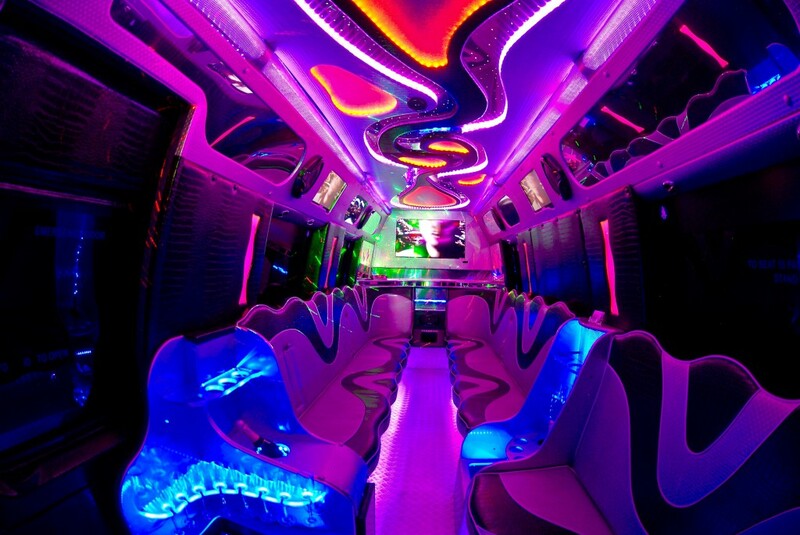 This works well with our 16 seat Minibus/Coach for the return leg bringing costs down. Prices are very competitive with public transport fares so fill out an online quote form and surprise yourself. 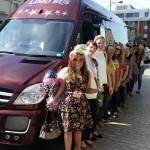 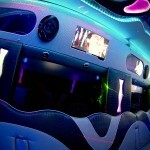 We also offer Party Bus hire for 1 hour cruises around Swindon town or round trips from bars , clubs or restaurants. 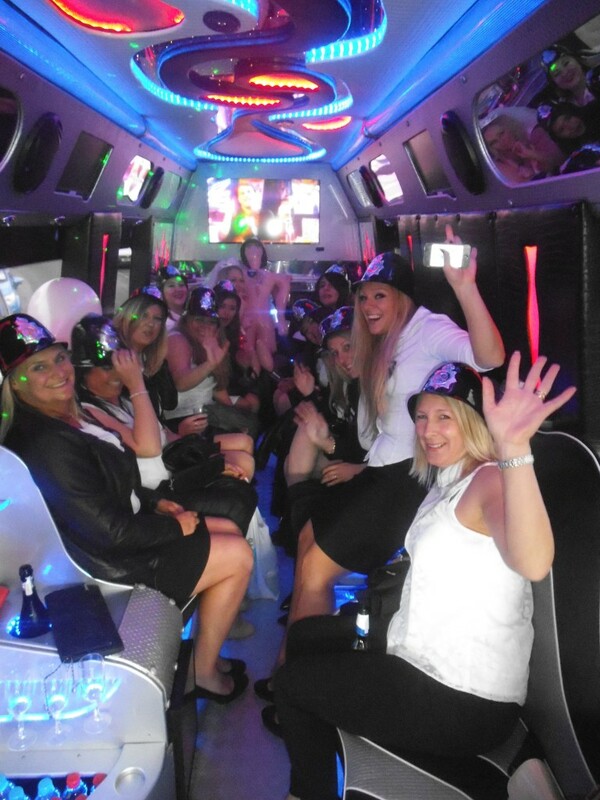 We cover any occasion including Birthdays, Hen Parties, Stag Parties, School Proms, Children’s Parties, Sporting Events all year round, Airport Transfers and much more. 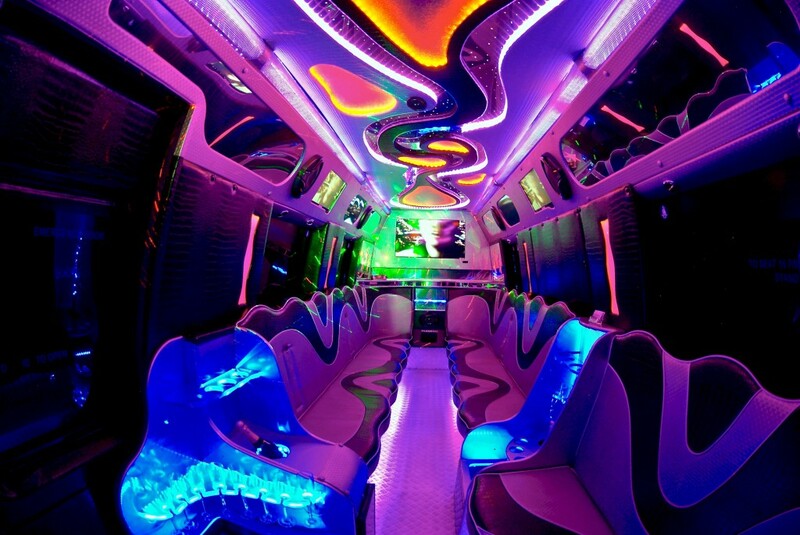 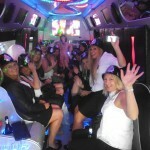 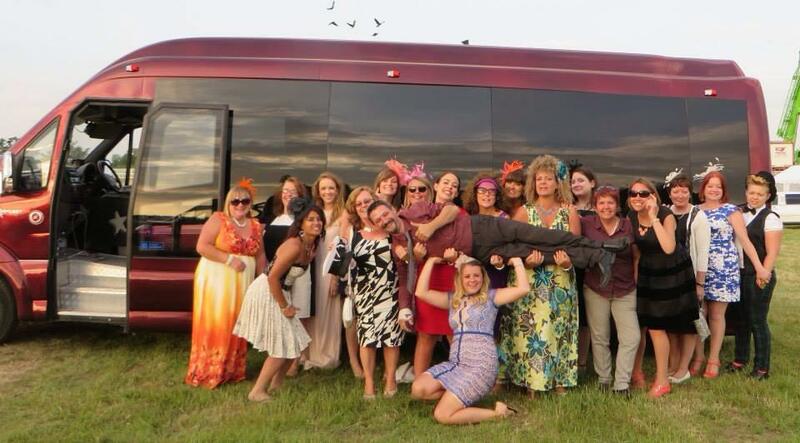 Make your celebration much more memorable with your party starting from your door with our 16 seat Party Limo Bus.